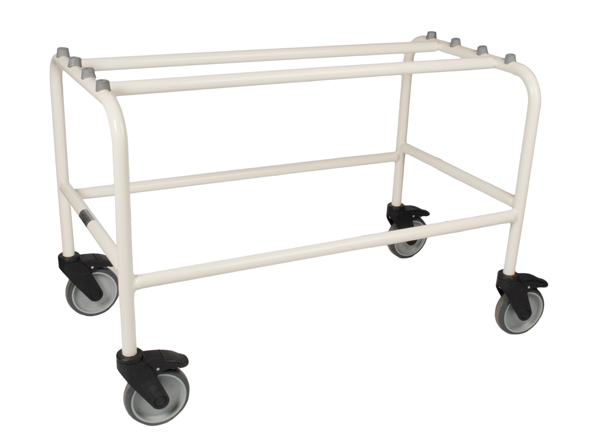 Limited time offer for a Fixed Bier Trolley finished in epoxy ivory with 5 inch castors (including brakes). Dimensions: 889mm W x 482mm D x 635mm H. Weight: 8kg. 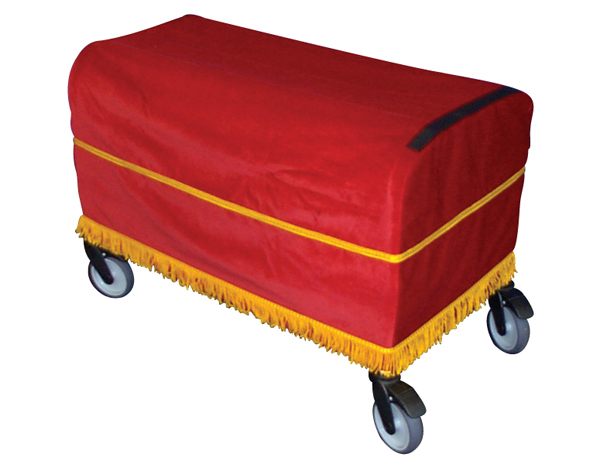 Also included is a High Grade 100% Cotton Velvet cover specifically designed to fit snuggly over the fixed bier trolley. Available in 4 colours Maroon, Navy, Dark Green and Purple. This offer is also available for 3+ units - See below. 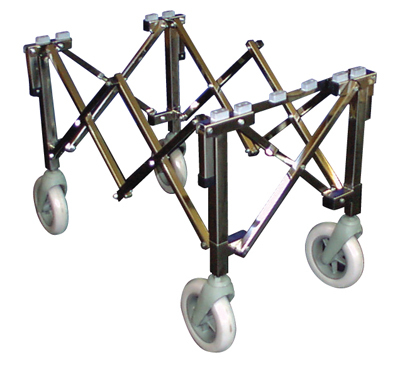 Limited time offer for 3+ Fixed Bier Trolley's finished in epoxy ivory with 5 inch castors (including brakes). Dimensions: 889mm W x 482mm D x 635mm H. Weight: 8kg. 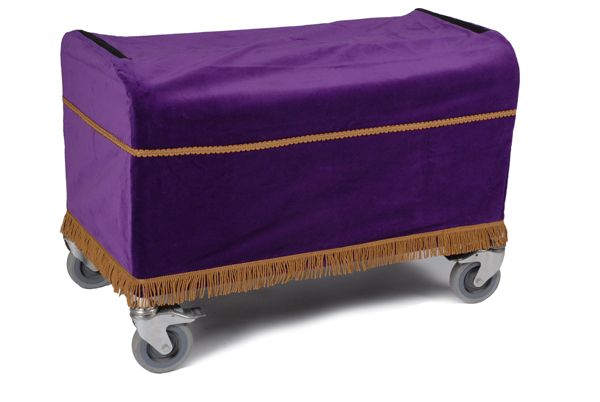 Also included are High Grade 100% Cotton Velvet covers specifically designed to fit snuggly over the fixed bier trolley. Available in 4 colours Maroon, Navy, Dark Green and Purple. This offer is also available for 1 unit - See above. Finished in epoxy ivory with 5 inch castors (including brakes). Dimensions: 889mm W x 482mm D x 635mm H.
In quality soft velvet and finished to exceptionally high standards. Specifically designed to fit snuggly over a fixed bier trolley. Available in 4 colours Maroon, Navy, Dark Green and Purple. 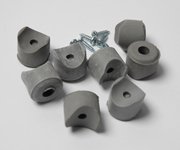 Replacement protective rubbers for fixed bier trolley's. Priced individually and sold in packs of 8. 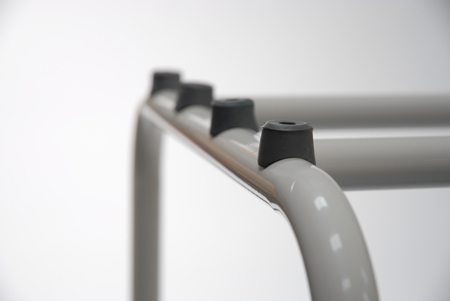 A stainless steel tubing bier which folds away along its length for easy storage and transportation. 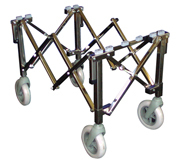 Comes complete with 7 inch wheels, four carrying handles and a leatherette cover for protection. Dimensions: (Open) 806mm W x 635mm H x 546mm D. (Closed) 165mm W x 775mm H x 546mm D.
A flexible bier designed to fold away for easy transportation and storage. 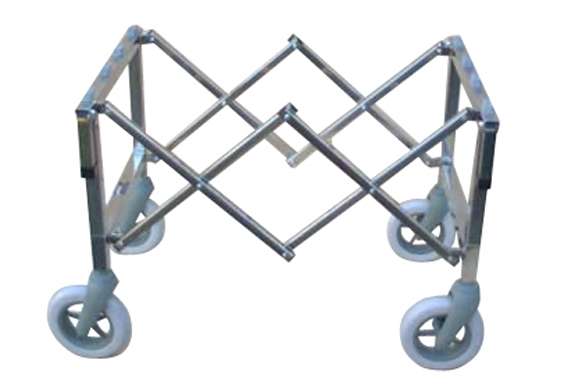 Extremely strong and sturdy with 7 inch wheels and four carrying handles. Comes complete with a leatherette cover for protection. Dimensions: (Open) 850mm W x 635mm H x 546mm D. (Closed) 286mm W x 782mm H x 279mm D.